Susan Raye And The Buckaroos performs "Cajun Train"on Hee Haw. Susan Raye (born October 8, 1944, Eugene, Oregon) is an American country music singer. 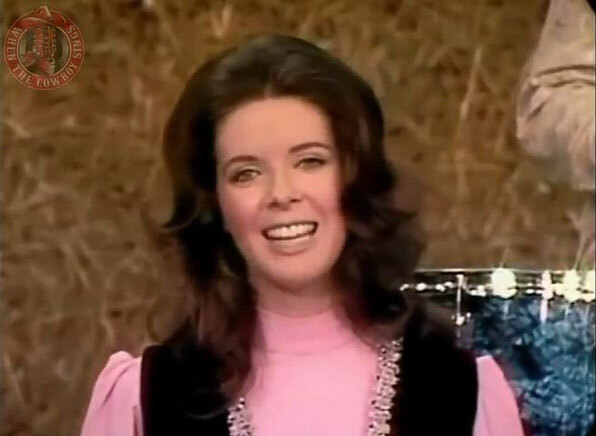 She enjoyed great popularity during the early and mid-1970s and chalked up seven top 10 and nineteen top 40 country hits, most notably the song "L.A. International Airport", an international crossover pop hit in 1971. Raye was a protegee of country music singer Buck Owens. Owens and Raye recorded a number of hit albums and singles together, and were one of the most successful country duet acts of the era, in addition to their solo careers.